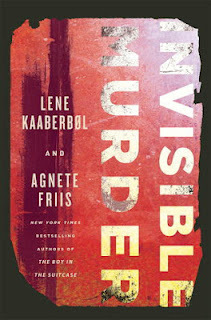 The first book by Lene Kaaberbøl and Agnete Friis, The Boy in the Suitcase, was among the best international crime fiction of recent years, and I was grateful when SoHo Press sent me a review copy of the sequel, Invisible Murder. Kaaberbøl translated the first book herself, but this time the translation into English is by Tara Chace, who also did a great job. The prose is clear and moves along very well. Invisible Murder is almost as good as the first book--I say "almost" because one of the pleasures of The Boy in the Suitcase was discovering who the main character was going to be, among the plethora of characters vying for attention. Nina Borg, a Red Cross nurse, hardly seemed the most likely and it is to the authors' credit that she takes and holds the center of the story very well (as she continues to do in the second book). I have a bit of a quibble with the ending, something other reviewers have mentioned, but only in that after the vivid story up to that point, the end is a bit flat. The book begins in Hungary, where two boys seeking salvage find a way into a sealed hospital abandoned by the Soviet Union at the end of their occupation of Hungary. We see little of what they find there, but the whole story flows from their discovery. One of the boys, a Roma, has a half-brother who's studying law in the capital, and we follow him, partly from his point of view, throughout the story (the narration is third-person). In Copenhagen, Nina, who has promised her husband not to volunteer for the asylum network (which got her into trouble in the first novel) while he is away on an oil platform at sea. But she gets a call asking her to help some sick Roma children living in an abandoned garage. When she arrives and tries to offer medical assistance, she is rebuffed and threatened. But her attempts to help the children bring her story and that of the half-Roma law student toward each other. 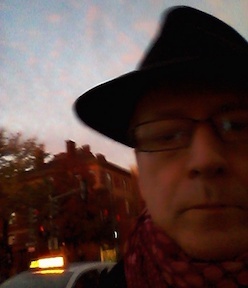 No more plot details: the reader will have figured out what's going on long before Nina or a police officer who also occupies a good deal of the narrative--it's one of those books that make you want to shake the characters and yell at them to make them understand what's going on. But the authors keep them in the dark in very convincing ways. A reader might also want to grab Nina and tell her to pay more attention to her family: Nina's family life is an integral part of the story and is the focus of the most effective parts of the ending. Kaaberbøl and Friis have created not only one of the best new crime series, but also one of the most unusual, in terms of the characters, the plots, and the way the crimes are integrated into the story. Their two books so far available in English elevate the crime fiction genre as a whole and are unique among Scandinavian noir (at least in what's available in translation) for the credibility and intensity of the stories.